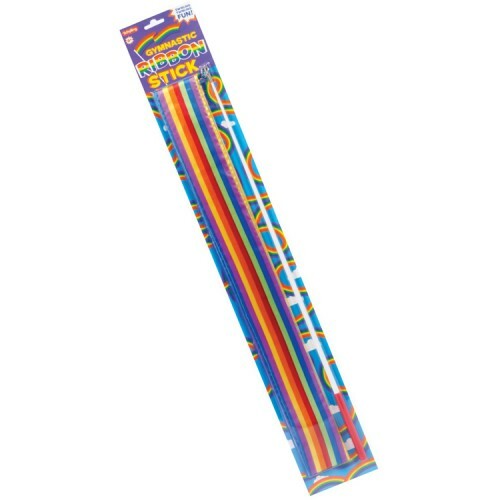 The Gymnastic Ribbon Stick for Kids features a 15 feet of vivid colored ribbon attached to a 20 inches baton. You can organize the Olympic Games right in your play room twirling and twisting this rainbow colored dancing ribbon by Schylling. The Gymnastic Ribbon Stick for Kids features a 15 feet of vivid colored ribbon attached to a 20 inches baton. Your girl can try creating her own rhythmic gymnastics routine with this play ribbon with stick. Young Broadway fans can stage their creative ribbon dance with this active toy. The Gymnastic Ribbon Stick for Kids is also a great party activity toy for your next children birthday party. Just turn on the music and kids will have tons of party fun dancing and moving with this play gymnastic ribbon stick. 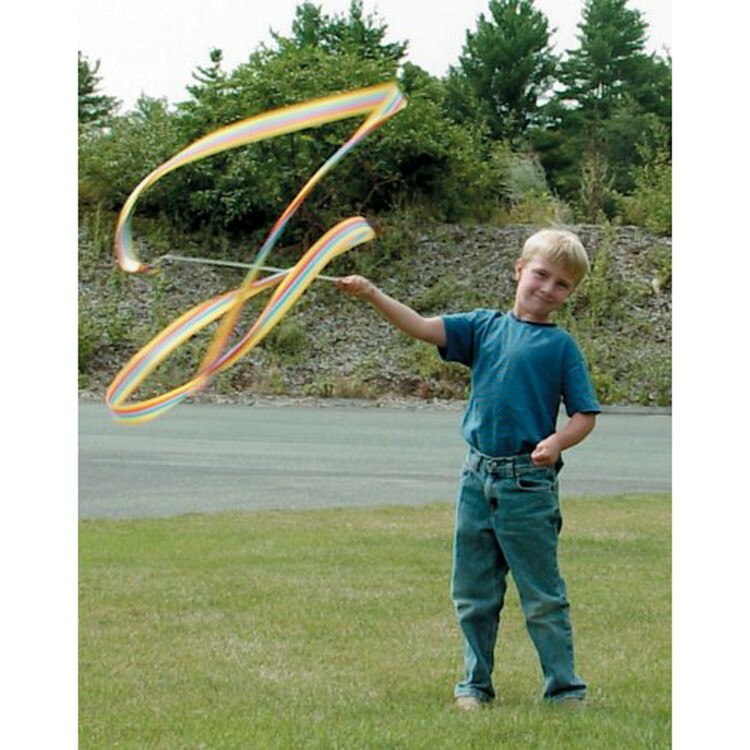 Dimensions of package 3" x 20" x 0.25"
Write your own review of Gymnastic Ribbon Stick for Kids.